Following on from the success and popularity of last year’s competition, entries are underway for the 2019 Sales Awards. 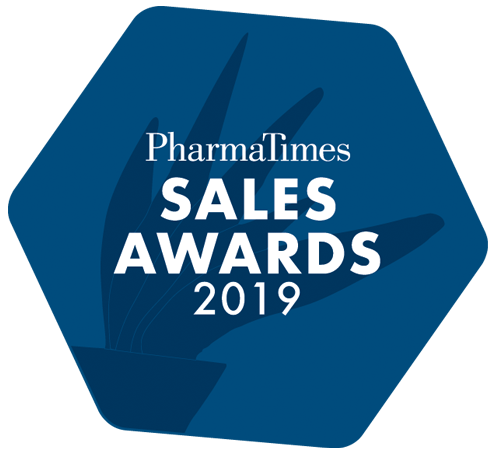 These awards offer a unique platform for the very best sales professionals in the industry to be recognised by their healthcare clients, as well as the chance to compete to win a coveted pharma award. There are a broad variety of categories available to enter, ranging from Primary & Secondary Care Sales Professional of the Year to Key Account Manager of the Year. The Sales Manager of the Year category has been refined to be more inclusive for those who are experienced in managing a sales team. These categories will also accompany the Orphan/Rare Disease Sales Professional of the Year. Click here for more details on the categories. All of these categories have been specifically devised by our executive steering group, which comprises of both senior industry leaders and key stakeholders. The ESG have used their expert knowledge to play a pivotal role in keeping the category criteria, and the challenges they have in store, up to date with the developing sales industry. To enter into a category, candidates must firstly receive full endorsement from their company before then deciding on one of the five categories which best suits their current position. Once confirmed, entrants will supply details of five healthcare professionals who would be able to provide feedback to support their entry. The judges will then contact those HCP’s for feedback to determine a score based on set criteria. The candidates judged to have the best scores from each category will be invited to take part in the live finals day. The finals day will assess candidates written, communication, and presentation skills in a rigorous test, which will pit contestants head-to-head against their peers. As well as the chance of being crowned a winner, finalists will also receive quantitative and qualitative feedback from the judges; offering the opportunity to reflect and improve upon their sales performance. The challenge is set for the highest calibre of sales professionals to compete on the main stage – enter now!